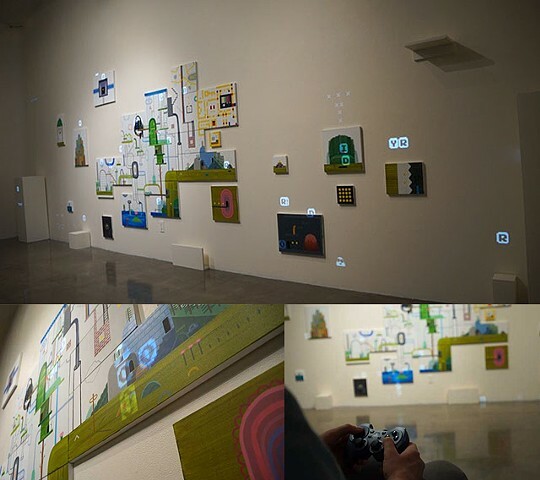 Dispose( ); is an open world game played on 24 acrylic on canvas paintings, as well as the surrounding wall and floor. It is a Sisyphean survival game, with no imminent danger or challenges. You simply live, wandering and consuming and disposing. Dispose( ); is the second collaboration between programmer/artist Brent Watanabe and painter Cable Griffith.